My work is about light: about the conflicts of light and shadow, desolation and beauty, and about the emotional responses light provokes. I paint the resulting interplay of color and atmosphere, of one texture and shape against another, and the dynamic exchange between forms and line in space. But most essentially I portray places that suspend me in their stillness or turbulence and trigger in me a visceral emotional response. I search for those times and places where beauty is startling and suddenly present. 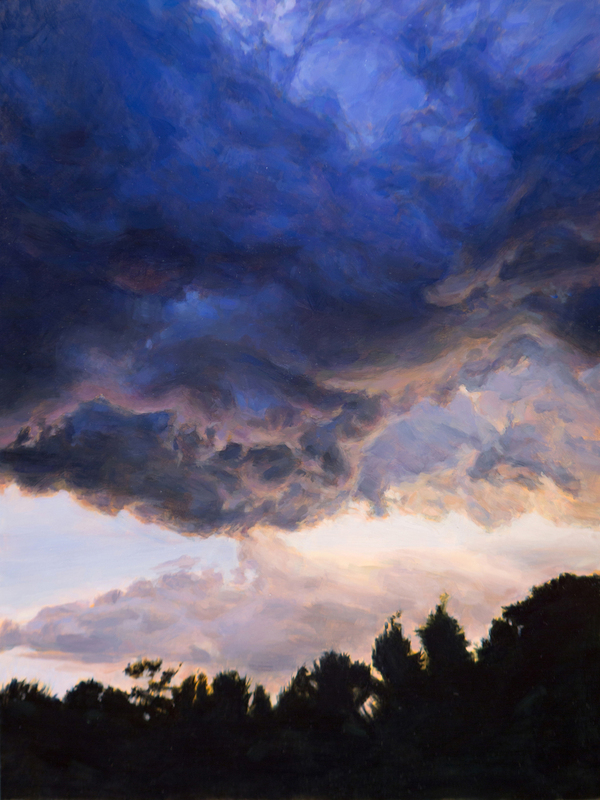 In depicting these fleeting visual encounters I paint the arresting color relationships that flare and bring a momentary expressiveness to the enfolding, lush tranquility of still corners or the immense intensity of roiling skies. In these moments I depict, the light orchestrates a compositional balance and order interrupting abundant disarray.